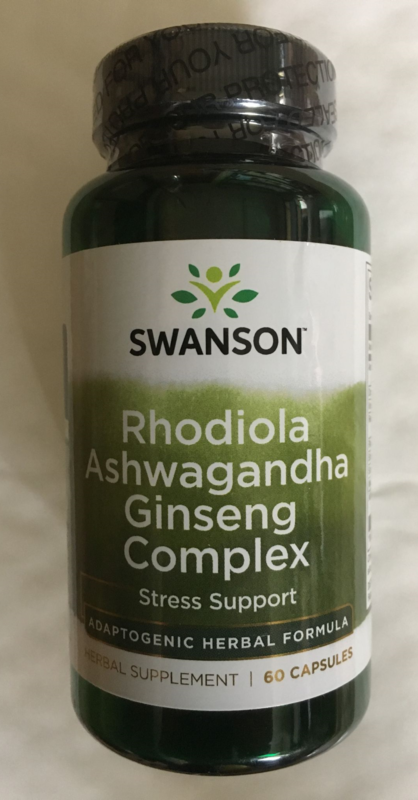 Brought to you by Swanson, a premium supplier of supplements to support your health and wellbeing, Rhodiola Ashwagandha Ginseng is a complex of nine herbs sourced from nature with known qualities to support you during times of stress. These are otherwise known as ‘adaptogens’, herbs which support the bodies normal function during times of physical and mental stress. Ashwagandha Root: From the same family of plants as tomatoes, Ashwagandha root is commonly used in traditional Indian medicine for its ‘adaptogen’ properties in boosting immunity, enhancing energy and may even improve sexual desire. Dong Quai Root: Growing wild in Asia and also known as the ‘Chinese Angelica’, Dong Quai Root is commonly used to ease the symptoms of PMS in women and may have aphrodisiac qualities for both men and women. Reishi Mushroom: Known by the Chinese as the ‘king of all herbs’, Reishi Mushrooms are powerful antioxidants, build up respiratory strength, have anti-inflammatory properties and could improve blood flow. 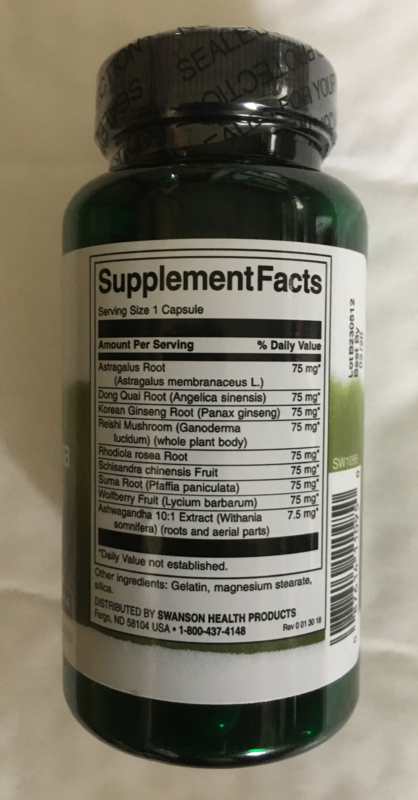 Suma Root: Also known as the Brazilian Ginseng, Suma Root is considered to be another ‘adaptogen’ helping the body to adjust and maintain immunity during various stresses. Unfortunately when you are stressed whether this is from lack of sleep, diet, the environment or even external emotional and mental factors our bodies ability to be at that stage of readiness, like ‘fight or flight’ could become compromised particularly your immune system. 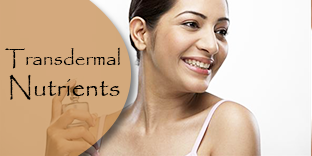 As a result you could be more susceptible to infections such as the common cold. 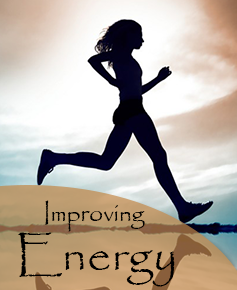 Adaptogenic herbs have been considered to help support the body during these changing times and help to normalise its functions and keep the body in balance.